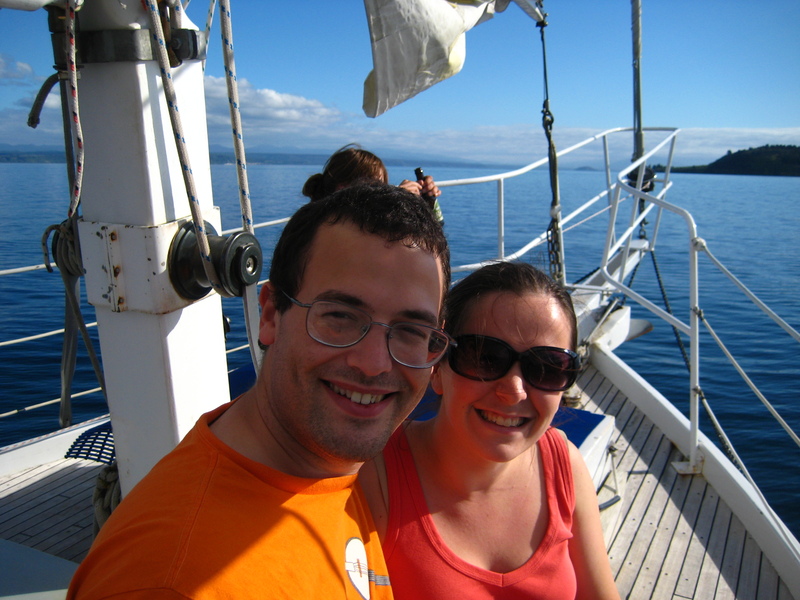 After bungee jumping (in the country where it was invented, no less), we needed to chill out a bit so we went on a sailing trip on Lake Taupo for a couple hours. It was great to spend the afternoon just relaxing on the water with some delicious local beer, chatting with the guide and fellow passengers and watching the sun set as we pulled back into harbor. The boat itself used to be owned by Errol Flynn, so it could almost be called a pirate ship, right? 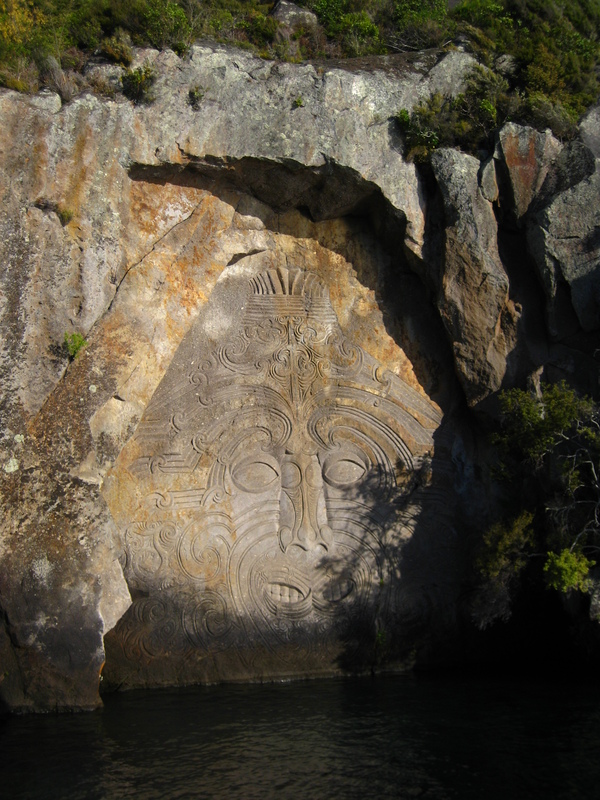 We also saw some fantastic Maori carvings, a commissioned project for rock faces on the lake that are accessible only by boat. 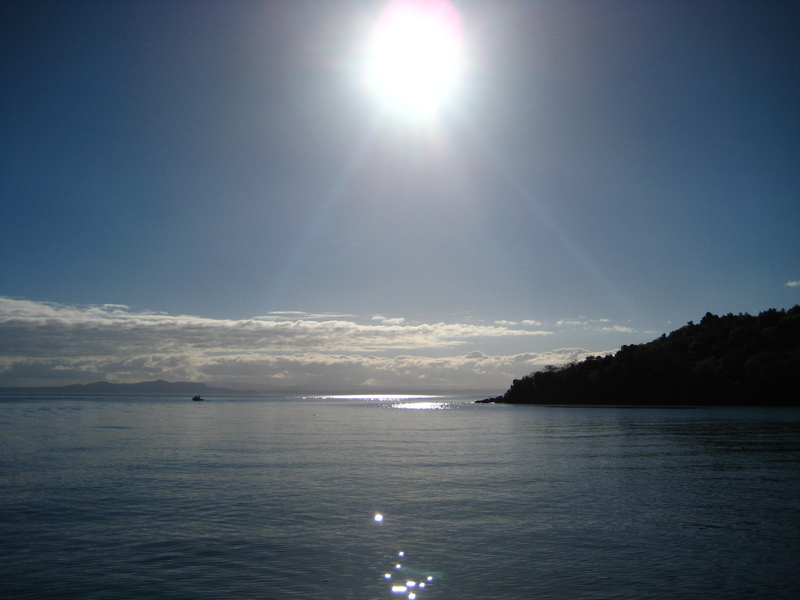 The sun over Lake Taupo. 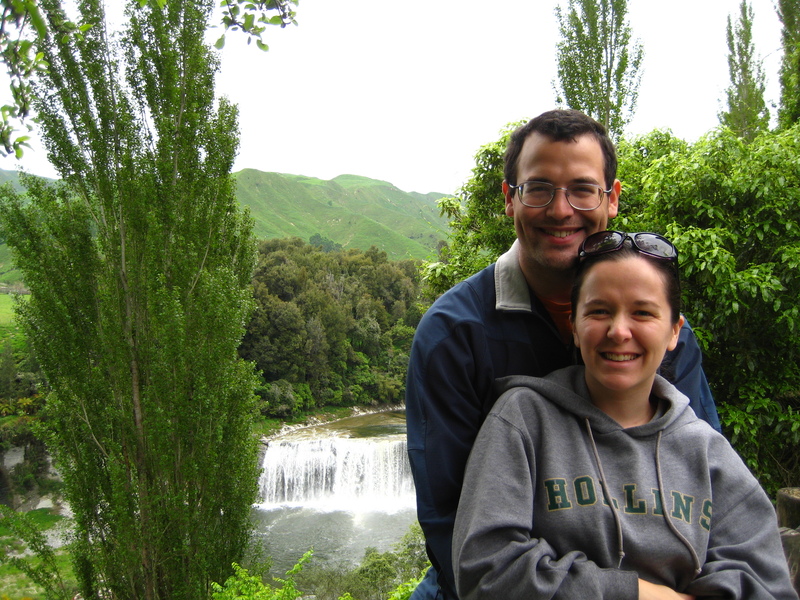 On our last day, we drove home via the west coast, following the Whanganui River through the Taranaki region and some of the prettiest hills on the North Island, and stopping at the town of Wanganui for sightseeing and food. 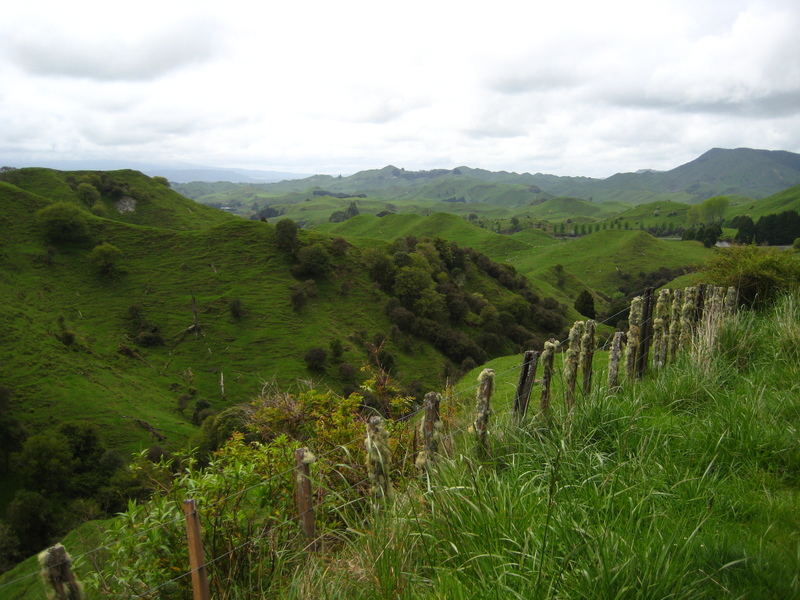 Gorgeous hills surrounding the Whanganui river and tributaries. Stopping roadside to see a small waterfall on the Whanganui. Take note, San Francisco: Wanganui has had an elevator for pedestrians to skip the steep climb up the hill the city is built on. We rode up to the top, although the view was less interesting than the transport. 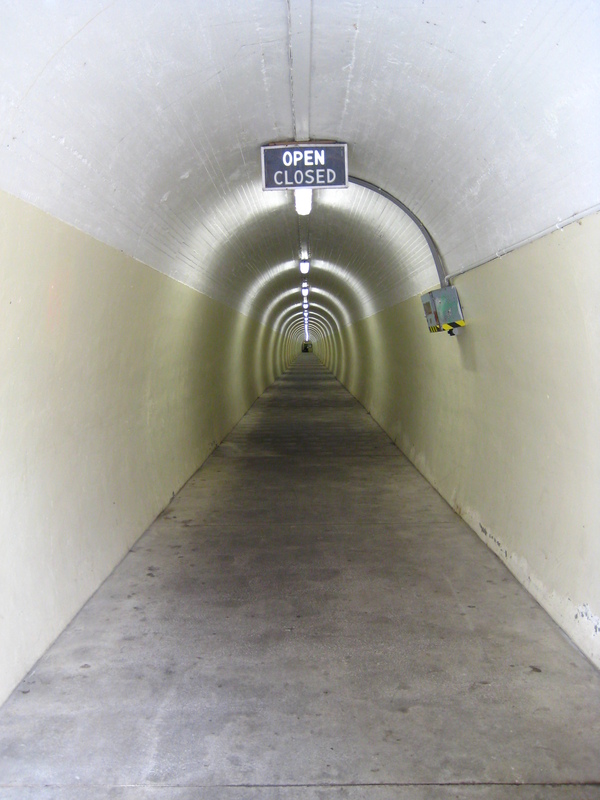 The elevator-access tunnel into the Wanganui hill. Now back in Wellington, we’re somewhat shocked to find ourselves with only a week left until we pack up and leave our adopted home to travel around the South Island. We’ll try to get some more pictures of this great city before we go – we’re going to miss it here. This entry was posted on November 9, 2008 at 12:36 am and is filed under Uncategorized. You can follow any responses to this entry through the RSS 2.0 feed. You can leave a response, or trackback from your own site. Hi! It’s me, donna. I’m at mom’s house. She sends her love and said something about a package. Like, the post office wouldn’t guarantee it, so if you want you can give her Becky’s folk’s address, and she’ll mail it there and said package will then be waiting for you on your return to the states. In other news: Kiwi! That is all.